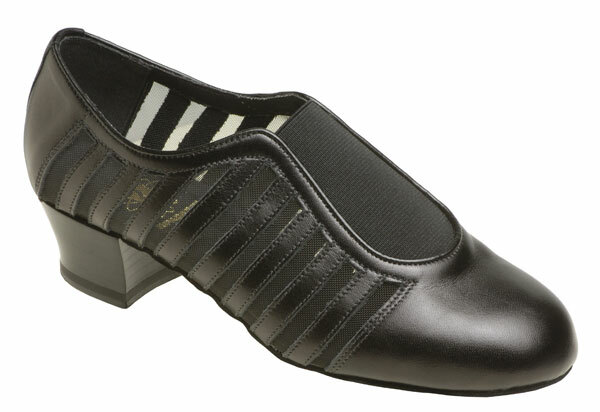 The New Slip On practice shoe available in Black Leather/Mesh. Regular fitting. 1½" Heel.